What Are the Key Documents Underlying Your Case? Whether your injuries arose from an auto accident, a slip and fall, or from a defective product, documentation can be the most important aspect of your personal injury case. Documents can make the difference between winning and losing at trial or negotiating a better settlement. You can do much to help your Manchester injury lawyer move your personal injury case forward and get a fair settlement. Here are some of the documents that you can obtain to help your attorneys present your case. This is not an exhaustive list; your attorney may have some additions and subtractions. Medical Records. Medical records provide information on the injuries you sustained, their nature and severity, and the relative cost involved. It is essential that you obtain copies of all of your medical records which includes all medical visits, x-rays, any medications prescribed, records of all doctor’s visits, your health history, and any course of treatment. Statements by Treating Professionals. This includes statements by your doctors, any medical staff, emergency medical technicians, fire department personnel, ambulance drivers and staff, any mental health professionals, physical therapists, and any other witnesses who were involved in or observed your treatment. These witnesses range from those who were at the scene of the accident or injury, gave you any type of medical assistance or were involved with your subsequent care. Include business cards and any other contact information that you have for each individual. If you do not have these statements, do not take it upon yourself to contact these individuals or obtain these statements without speaking with your Manchester injury lawyer first. Instead, give your attorney the list of witnesses. Your attorney may already have a plan of how to obtain these statements or may want to subpoena and depose each witness. A Journal. It is important for your case that you document your daily activities. That is, you should write about how you felt when you woke up in the morning and throughout the day, were you able to perform as usual given your injuries, how it affected your every-day life, and what you could not do because of your injuries. 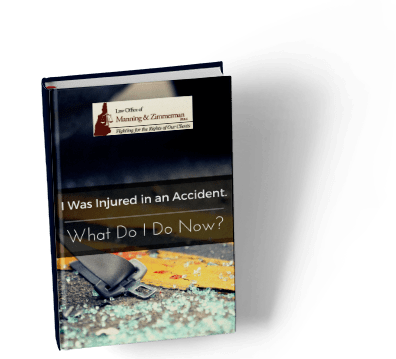 You should also write in a journal the events of the accident or injury as you remember them while they are fresh in your mind and include additional details as you remember them. Witness Statements. If a witness gives a statement, obtain a copy of it. This includes at the scene statements, any cards, emails, correspondence, memos or any other writing that includes any details about the accident or cause of injury. If you do not have any witness statements, you should make sure to have contact information for any potential witness. Do not obtain witness statements on your own without speaking with your attorney. Prepare a list of those witnesses and give that list to your attorney. Police Reports. It is essential to obtain a copy of all police reports for your case. If you can, obtain each police officer’s business card and badge number in case your Manchester injury lawyer needs to subpoena police records. Photos. Any photos of the scene of the accident, a defective product, a building, your injuries, any witnesses, and the like could be important evidence in your case. If you take photos on your phone, do not delete them so that you can preserve the chain of custody. Speak with your Manchester injury lawyer about how to do this. Make sure to save an extra copy of your phone data in case your phone is damaged. Computer Data. Computer data can provide a plethora of information and evidence in your case. All of your computer data should be preserved and you should notify your attorney that you have done so. 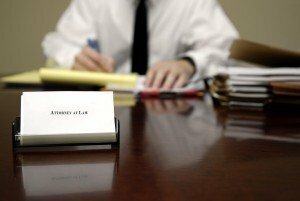 Additionally, if any information about your case is recorded on a computer whether it be at a hospital, by a police officer, or any other witness, make a note of it and tell your attorney. Phone Data. Your phone contains a lot of data and so do witnesses’ phones. If you are texting or calling after an accident or injury or see witnesses texting or calling, those texts and phone calls could be important. Preserve your phone data and make a note of any witnesses’ phone activity. Work Information. You should document any work information that is pertinent to your case. For example, if you are injured, you may have to take time off work or miss more work because of your injuries. You may not be able to perform your job as you once did or at all because of your injuries. That needs to be documented. All Insurance Documents. All insurance documents relevant to your case should be produced to your attorney. This includes any insurance information from the opposing party, if you have it. All Bills. Bills incurred as a result of your injury are relevant evidence to your case. You should obtain and keep all evidence of such. Examples are repair bills, transportation costs, medical co-pays, insurance payments, invoices, logs, and expenses incurred. Keep your bank statements and credit card statements as well as any receipts. You and your attorney’s staff will share the work of gathering and compiling this information, but some of the work can only be done by you. Your Manchester injury lawyer at Manning & Zimmerman will guide you through the process. (603) 624-7200. Any and all of these behaviors can contribute to distracted driving. To expand, click here. This can include texting, talking on a phone, eating, grooming, and reading. Also included is using a navigation system, adjusting music, or reacting to the behavior of a passenger. Texting while driving tops the list of dangerous distractions and has already been banned in 46 states. Research has shown that texting and driving is as dangerous as driving while intoxicated. Texting is also the communication method of choice for most young people. Therefore, it is not surprising that drivers under 20 have the highest proportion of distraction-related fatal crashes. In fact, according to this New York Post article, texting while driving is now the leading cause of teenage deaths in this country. Parents can play an important role in teaching their teens about the dangers of distracted driving. 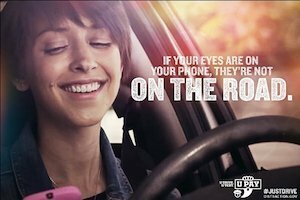 They do so by setting a good example, yet 48 percent of the parents of teens use phones while driving. Fifteen percent have seen their parents texting while driving. Good drivers stay focused on the road at all times but have to be aware of others who are distracted. Ninety percent of adults consider distracted driving unacceptable, yet 35 percent of those same drivers admit to driving distracted. Defensive, focused and cautious driving is your best bet to prevent an accident with a careless driver. Another dangerous behavior on the rise is distracted walking. Pedestrians can be at risk if walking while talking on a cell phone or listening to music through headphones. Among those 19 and under, teens account for 50 percent of all pedestrian deaths. Older teens have accounted for a staggering 25 percent increase in pedestrian injuries in the past five years. Over half of all adults have been involved in a distracted walking encounter. If you or a loved one have been injured due to someone else’s careless acts, contact the NH injury attorneys at the Law Office of Manning & Zimmerman PLLC for a free consultation. We may be reached at (603) 605-0547 or by email at info@MZLawNH.com. We may also be contacted by using the “contact us” or chat feature on our website. Welcome to the Law Office of Manning & Zimmerman’s newsletter focusing on the dangers of distracted driving and what you can do to prevent tragedy from striking in your life. Entering Distracted Driving Awareness Month 2016, we note that the number of injuries and deaths from driving distracted continues to rise, especially among teenagers. The increase is perhaps due to our obsession with mobile technology or our love affair with the car or just the increasingly frantic pace of our lives (no one is quite sure). This we do know: Distracted driving is a problem that is 100 percent preventable! Before you send that next text message or order that double cheeseburger to go, you should know the dangers of distracted driving and what you can do to prevent tragedy from striking in your life. According to the Manchester injury attorneys at the Law Office of Manning & Zimmerman, every year thousands are injured on amusement park rides, including a grave injury suffered by an 11 year-old girl at a carnival, a 10 year-old boy decapitated on a water slide, three girls injured on a Ferris Wheel, six people treated for electric shock, and a death at a state fair in Ohio in July 2017. From bruises and cuts to serious head trauma, broken bones, and even death, these incidents mar what should be a fun and exciting time. 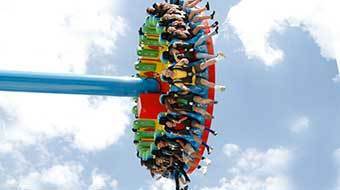 When someone is injured on a ride, they may be able to bring a negligence claim against the park and its employees. A product liability claim against the ride’s manufacturer may also be brought. According to the Consumer Product Safety Commission (CPSC), approximately 8,800 people sought treatment for injuries sustained on amusement park rides in 2006. An additional 3,600 were injured on inflatables like bounce houses, and another 3,100 were injured on public water slides. Statistics collected by the National Safety Council show that in 2014, the most recent year for which data is available, 1,146 people suffered ride-related injuries, with 111 of those classified as serious. How are Amusement Park Rides Regulated? According to the Manchester injury attorneys at Manning & Zimmerman Law, the manner in which amusement park rides are regulated depends on whether they are fixed-site rides, like those at permanent amusement parks, or mobile rides, like those at carnivals and county fairs. The CPSC regulates mobile rides but has no authority over fixed-site rides. This is known as the “roller coaster loophole.” Nearly 30 states conduct safety checks and otherwise regulate fixed-site rides while others rely on third-party inspections and insurance companies. In New Hampshire, amusement ride operators are regulated by the Department of Safety. An August 14, 2016 article by CNN titled “Amusement Park Safety Under Scrutiny After Week of Accidents” sheds more light on the regulation of amusement parks. 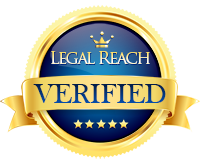 Negligence Claim – To win a negligence claim, your Manchester injury attorneys will discuss with you that you must prove that the defendant was required by law to be reasonably careful but wasn’t, and that you were injured as a result of their carelessness. Amusement parks are responsible for the actions of their employees. If employee negligence caused your injury, you may be able to sue them for either affirmatively doing something, such as providing incorrect instructions to riders, or for failing to do something, such as not posting warning signs about risk factors like high blood pressure, failing to properly maintain the ride, or failing to regularly inspect it. Product Liability – If your injury occurred because of a defect in the ride itself or one of its components, you may be able to sue the manufacturer of the ride or the maker of the part. To do so successfully, you must be able to prove that the part, equipment or structure of the ride was defective and contributed to your injury. You can expect the amusement park to fight back, regardless of the circumstances. One defense that’s commonly used involves the assumption of risk. This means that by voluntarily riding these rides, you are aware of the risks but choose to do so anyway. In some states, if the park can show that you assumed the risk, you don’t have a case. In others, the assumption of risk–or lack thereof–affects the amount for which you may be compensated for your injuries. For still other states, assumption of risk isn’t considered at all. Amusement parks can’t use this defense. In all states, assumption of risk isn’t a blanket defense. Patrons have to be made aware of the risks and won’t be in some cases. For instance, if a bolt is loose on a ride, patrons can’t be expected to be aware of the problem. The park might also state that the injured person failed to comply with safety rules by, for instance, disregarding rules regarding age, height, and weight requirements, or by purposely unlatching their belt during a ride. Some parks try to point to disclaimers that are printed on their tickets to avoid liability. This defense rarely works. Our civil justice system provides for victims of negligence to recover full, fair and adequate compensation for their injuries. The Manchester injury attorneys at the Law Office of Manning & Zimmerman, PLLC handle cases in all areas of personal injury law, including injuries sustained at amusement parks. We work diligently to ensure that our clients receive compensation for their injuries. There are no up-front costs for our services. All personal injury cases are handled on a contingency basis. We are only paid for our services if we successfully recover damages from the responsible party. For a free consultation, call (603) 239-2315, email us at info@manningzimmermanlaw.com, or contact us by using the “contact us” form or chat feature on our website.